Right now I am loving these flatbread prosciutto, arugula & balsamic pizzas. 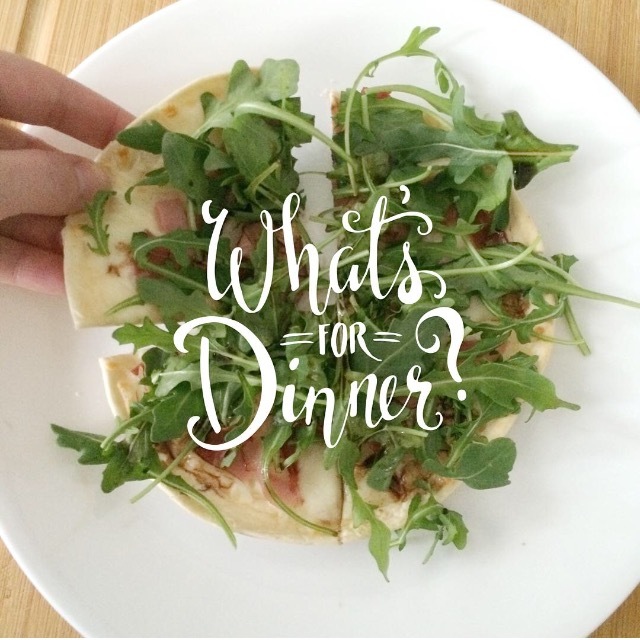 Nathan and I have both loved this style pizza ever since we shared one at a restaurant once a while back, but we obviously don't like the fat and carbs that come along with it; so we created this lower carb and less fatty version. Most of the ingredients we use were purchased at Trader Joes, but you can certainly substitute these ingredients will similar brands. Step 1: We make it on this flatbread that has 150 calories, 3 fat grams, 27 carbohydrates and 4 grams of protein. 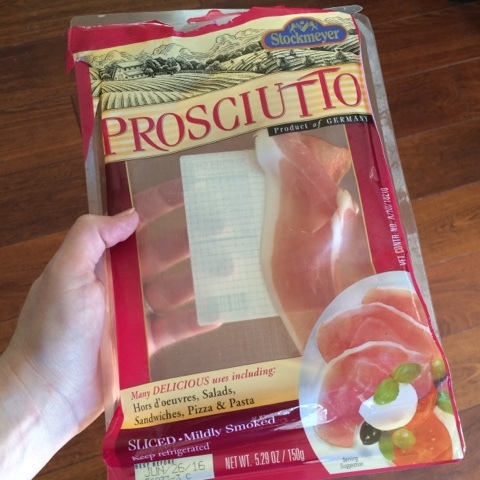 It's a great substitute for pizza dough. I warm the flatbread up in the microwave for about 10-15 seconds to soften it up and help with the cooking process. 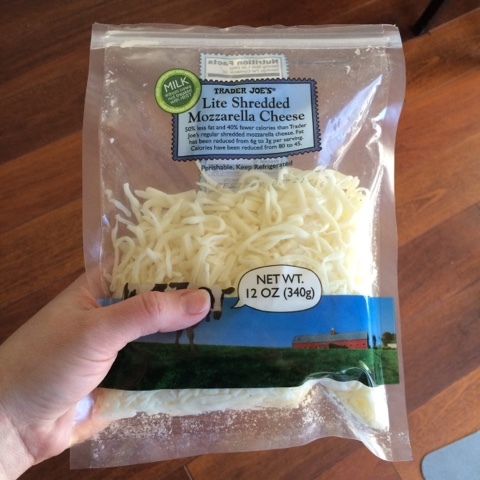 Step 2: I then layer on one serving of this lite mozzarella cheese with 45 calories, 3 fat grams, and 5 grams of protein. 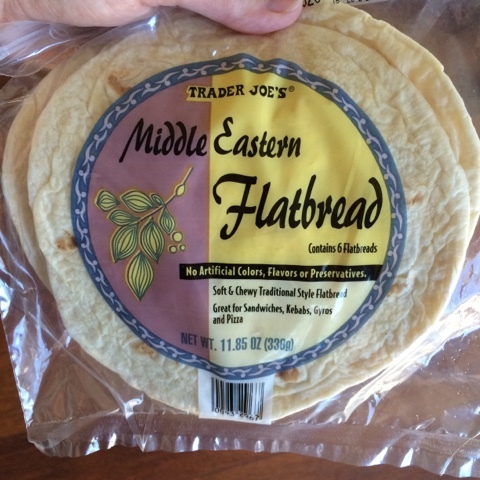 One serving is enough to cover the surface of the flatbread. Step 3: I cut up 1 slice of prosciutto and spread it out evenly over the pizza. It has 60 calories, 3.5 fat grams and 6 grams of protien per slice. Step 4: I broil the pizza until the cheese is melted and bubbling. 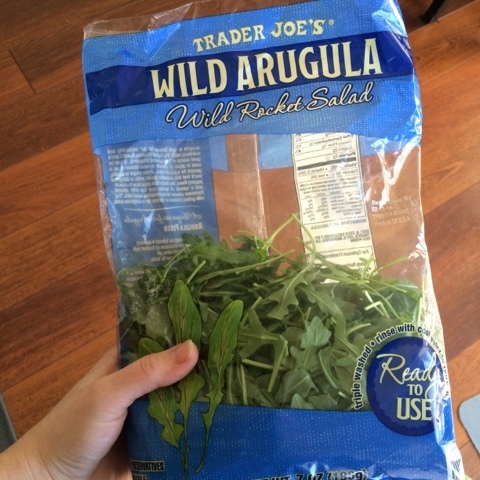 Step 5-6: When I take it out, I then put a nice big handful of arugula on top and drizzle on some balsamic vinegar. I cut it up and enjoy. I've been adding a side of sliced cucumbers sprinkled with Himalayan pink salt, too. It makes for the perfect lunch.